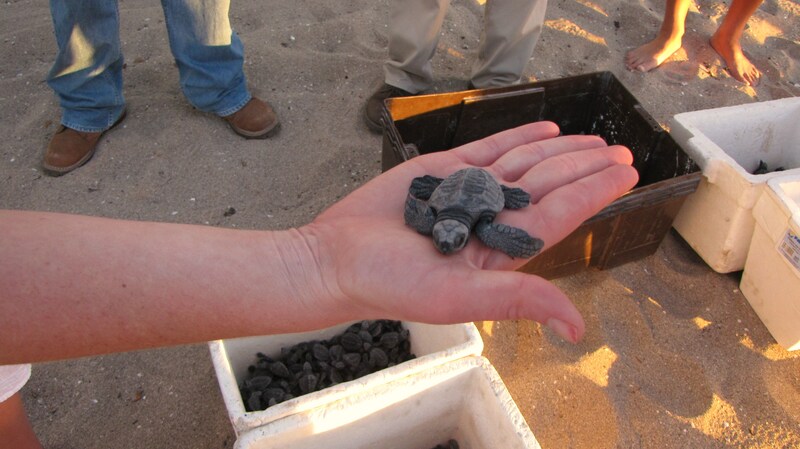 Releasing 3,500 Sea Turtle Babies! We learned about the sea turtles from the representative from the Mazatlan Aquarium, as buckets full of the anxious turtles were catching the eyes of all resort visitors. 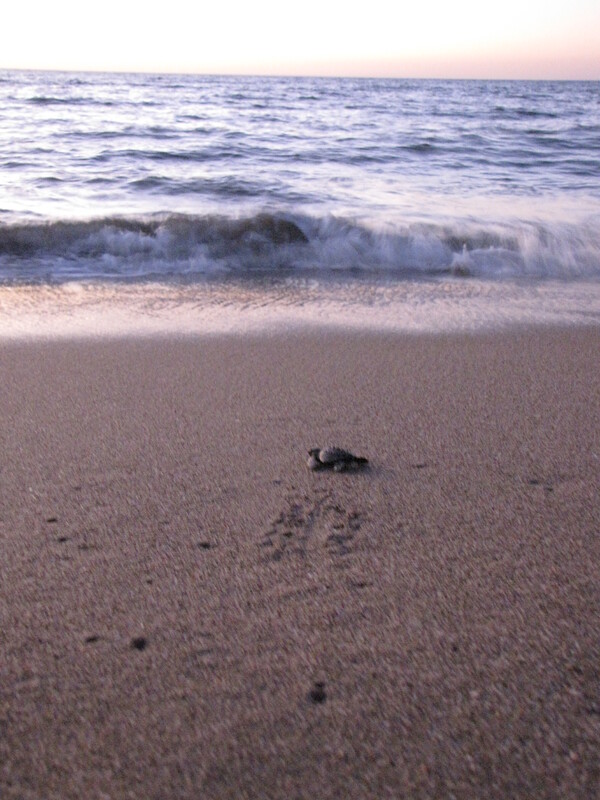 We lined up on the beach in a line, and were given 2 or 3 sea turtles babies that we were to name and release all at once when they said so. 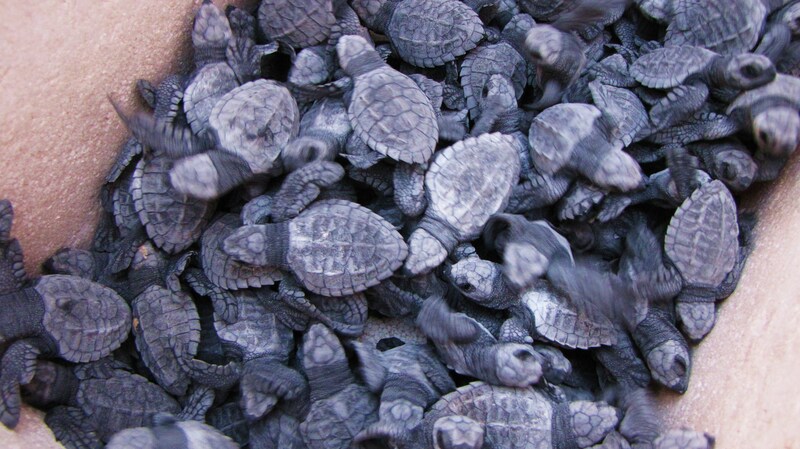 I know the horrible statistics of the survival rate of baby sea turtles, around 1 or 2 out of the 3,500 will live to adulthood. That just makes me really upset, since turtles have been on this planet WAY longer than humans. Anywho, I named by turtles “The Survivor” and “Chanel.” Some other names my friends picked was “Chicken of the Sea,” “Tim Lincecum” (since the SF Giants won the World Series), “Sugar Magnolia,” and “Donotello” from the Ninja Turtles! 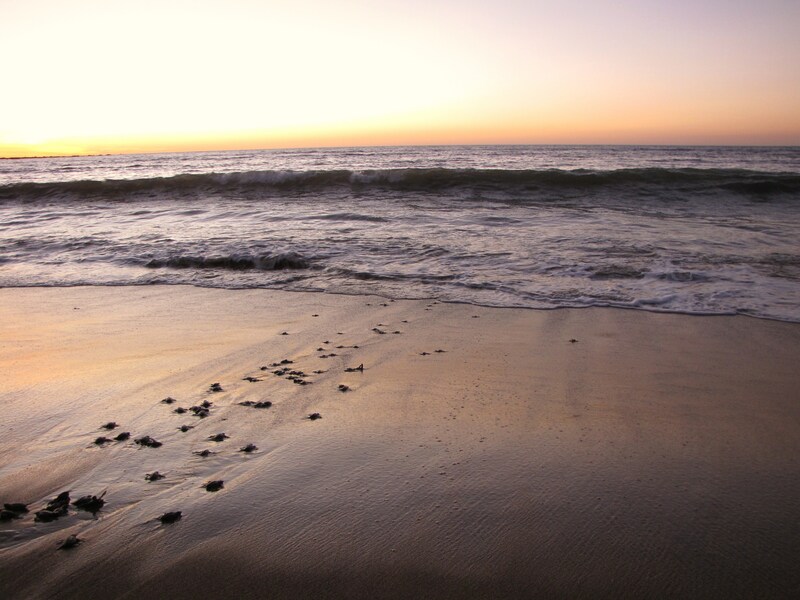 Just watching those little turtles scurry to the sea at sunset was amazingly beautiful and touching. It made me realize that I was definitely in the right profession, and it really is my goal in life to promote ocean awareness and conservation. I took some videos and pictures that I would love to share with you all! Please enjoy them. 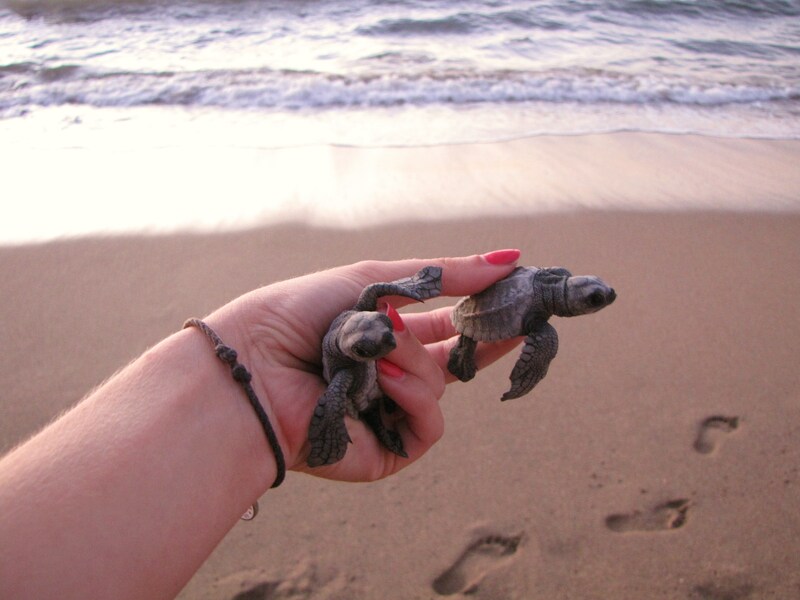 That is so amazing and what a opportunity for you to see their first trip to the Ocean.